Cebu Is a Beauty | A Cebuana Lifestyle Blog: Cebu Blogging Community is One! 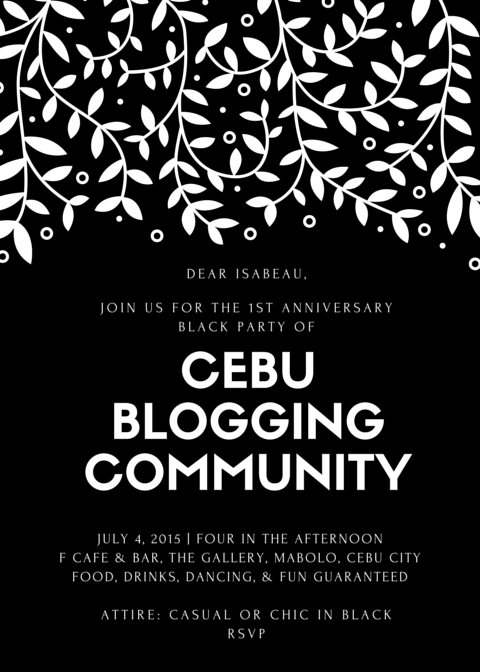 Cebu Blogging Community turned a year old and so we partied! I met a good bunch of strangers online, followed through with a meet up IRL and we became a family of bloggers in less than a year. What started out as a quest to find inspiration to revive this blog has now become a commitment to blog beyond the personal and the vain. Cebu Blogging Community is spear-headed by impressive individuals who have been relentless in building CBC to what it is now and to what it is yet to become. Energies were so high during CBC's first anniversary party held in F Cafe. Cebuano bloggers who you would assume to be resigned to oneself, had shown prowess in the latest dance craze. Writers can dance and dance the night we did. I lost count as to how many writer cliches were negated during the event. We had so much fun, we forgot our gadgets - our precious blogging paraphernalia. The company of Cebu Blogging Community is THAT great! We thank our sponsors for helping CBC's first ever anniversary! I am glad to be in a community of great people with the same interest. Glad to see you there Isabeau! It was nice meeting you at the party. I really enjoyed it. Hopefully we can bond on some other CBC projects soon. When is our next major event? I wanna meet the new members. ;) I hope we can meet every quarter.